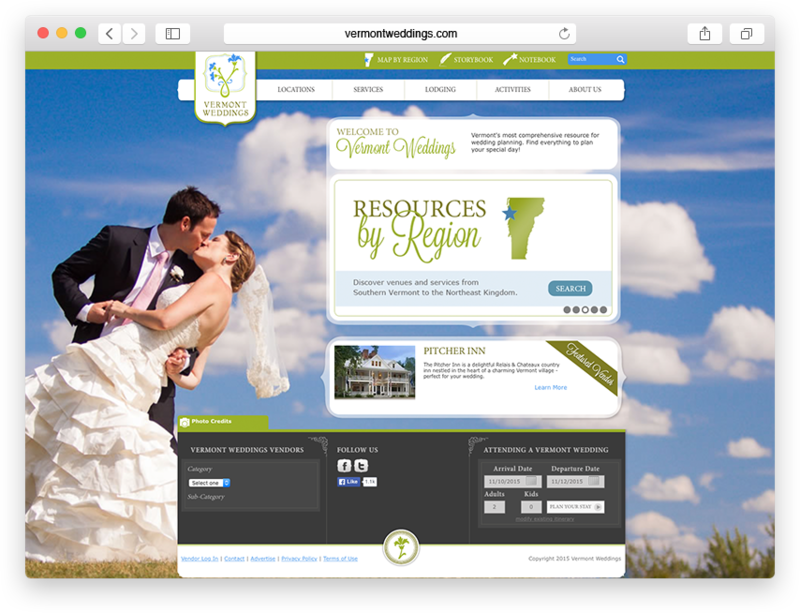 When Your Big Day LLC acquired the VermontWeddings.com product from the Mad River Valley Chamber of Commerce, their intent was to take a solid brand and take it state-wide. In January of 2012, we upgraded the back-end data to work with the new structure but still fit within the existing look-and-feel. 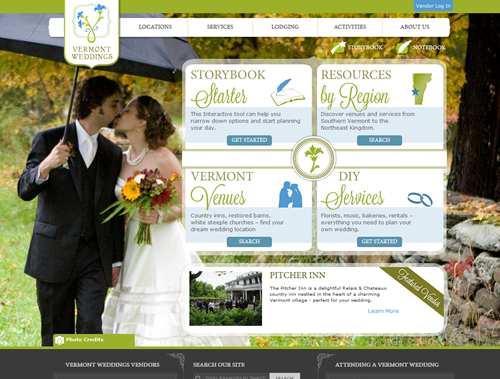 Using a new Eva Us website design, we built a fresh new front-end for the statewide Vermont Wedding resource. Brides will be able to use the storybook feature to find the perfect place through imagery or browse ceremony sites, rehearsal dinner locations, lodging options and even activities for the guests. The site went live on April 10, 2012! VermontWeddings.com is THE go-to place for the bride, groom, engaged couple, their family and guests to plan the perfect destination wedding in Vermont. 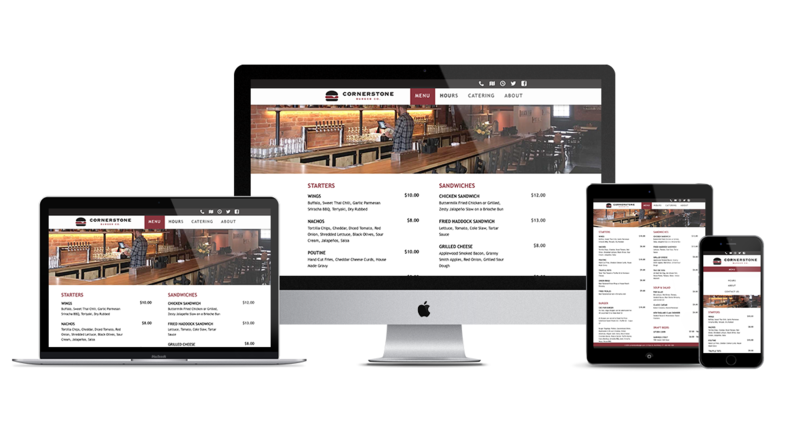 We feel honored to be a part of taking a valuable web product to the next level!